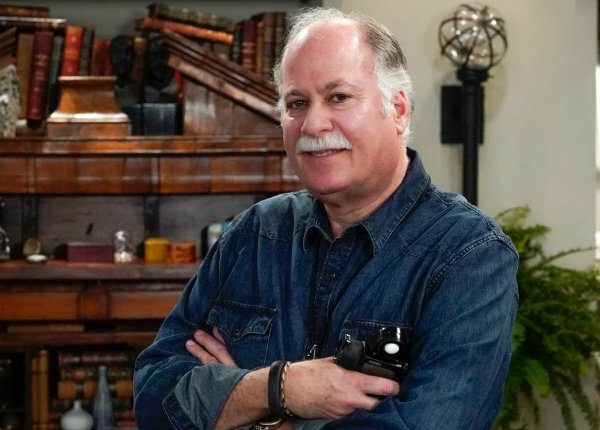 The latest Emmy nomination for Gary Baum, ASC, merits a special place in his heart in that it comes for the revival of Will & Grace, the series which returned to NBC after an 11-year absence. The original show is where Baum served as a camera operator and graduated to DP when Tony Askins, ASC, retired. Askins recommended that Baum succeed him as DP. And then executive producer/director James Burrows, and series creators David Kohan and Max Mutchnick afforded Baum that pivotal opportunity. Baum’s collaborative relationship with Burrows began nearly 24 years ago on Friends--Burrows was a director and Baum a camera assistant at the time. Baum moved up the industry ladder to operator, reconnecting with Burrows on the original Will & Grace. Burrows later directed the pilot for Mike & Molly, bringing Baum into the fold on that series, and the two have worked together on assorted shows ever since. Honors earned by Baum go well beyond the Emmy recognition. A year ago, right after securing his eighth career Emmy nomination, Baum earned acceptance into the ranks of the American Society of Cinematographers (ASC). Baum also considers it a privilege to serve as co-governor of the Academy of Television Arts and Sciences’ (ATAS) Cinematography Peer Group. Every aspect of production has a governor on the ATAS board--a representative of each group ranging from camera to make-up, costume design, hair, sound, etc. This is the tenth installment in a 15-part series that explores the field of Emmy contenders, and then nominees spanning such disciplines as directing, cinematography, producing, editing, music, production design and visual effects. The series will then be followed up by coverage of the Creative Arts Emmys ceremonies on September 8 and 9, and the primetime Emmy Awards live telecast on September 17.